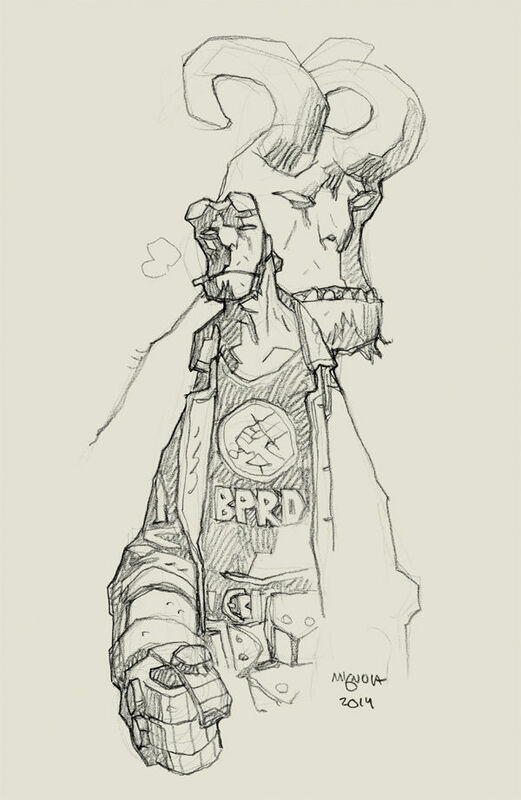 Hellboy joins the B.P.R.D. for his first mission in 1952. Hellboy creator Mike Mignola (with John Arcudi) spins up a new mini-series for Dark Horse Comics charting the earliest mission of the big red guy. It’s 1952 and the Bureau of Paranormal Research & Defense is adding a global vision to its explorations. They’ll be investigating the possible occult nature of mass murders in a small Brazilian mountain town and, at the urging of B.P.R.D. Director Professor Trevor Bruttenholm, taking along their until now sequestered ward. 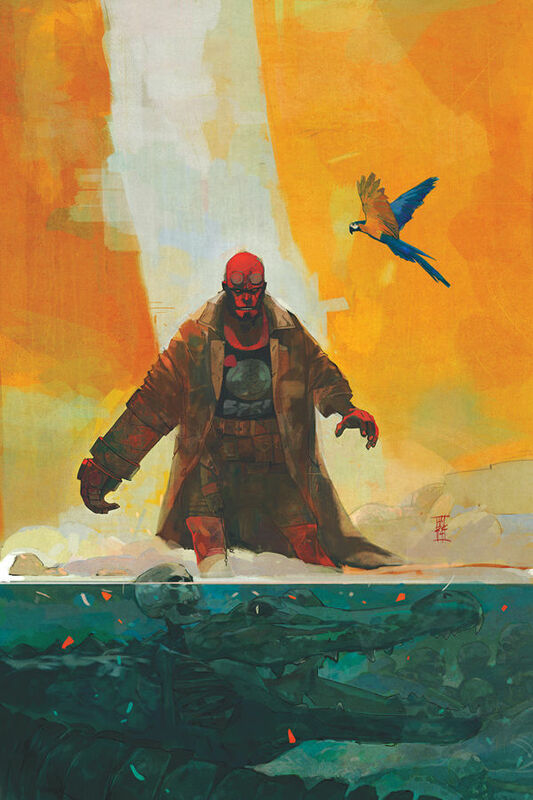 Mike Mignola’s issue #1 alternative cover art. Artist Alex Maleev (George Romero’s Empire of the Dead) renders atmospheric, “hard lit,” panels that convey the nuevo-noir feel of 1960’s – 70’s Italian giallo films like those of Mario Bava and Dario Argento. It’s an appropriate analog to Mignola’s own stark style and to my eye reminiscent of Eugene Colan’s work (Daredevil, The Tomb of Dracula) in the unabashed use of swaths of opaque black. Longtime Mignola collaborator Colorist Dave Stewart(Baltimore) heightens the effect by establishing a monochromatic pallet that makes the Hellboy’s red complection all the more incongruous and striking. 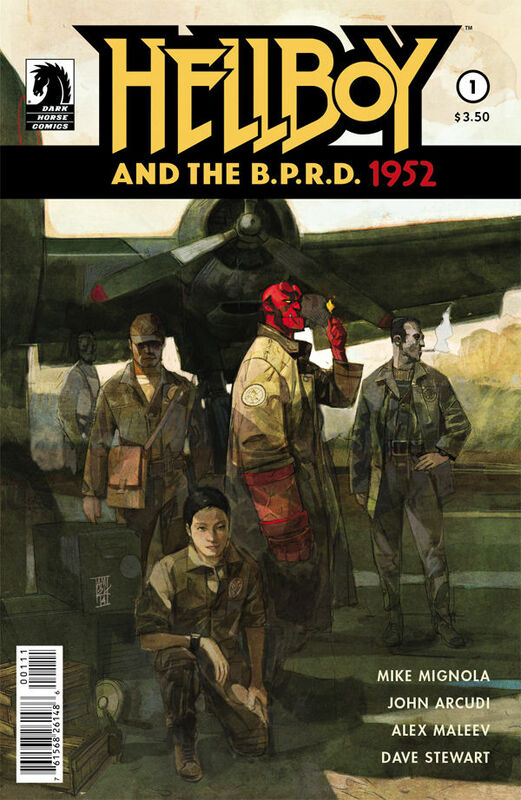 If there are any Hellboy novices left after 20 years of publication and two Guillermo del Toro films, the first issue of Hellboy and the B.P.R.D. 1952 offers readers enough backstory to make this an easy entry point. Issue one hits comic stands on December 3, 2014 and the 5 issue mini-series will run monthly through April 2015. The tale promises to be a core addition to the HB mythos. A look ahead to Alex Maleev’s issue #3 cover art.